#HappyHair: These Are The Best Hibiscus Oil Products For Longer, Stronger And Shinier Hair! The hibiscus flower is commonly seen in tropical countries and has been used in ancient medicine for many years. The bright and colourful hibiscus flower is also used by women as a hair accessory. The tropical flower, however, is more than just a pretty garden and hair accessory. Hibiscus essential oil is made using the leaves and the flowers of the hibiscus plant and it's touted to be just as good as coconut oil! Hibiscus oil is rich in antioxidants, vitamins A, C and also has a lot of Alpha-Hydroxy Acids and Amino Acids. This makes it the perfect deep conditioning treatment for your skin and hair. 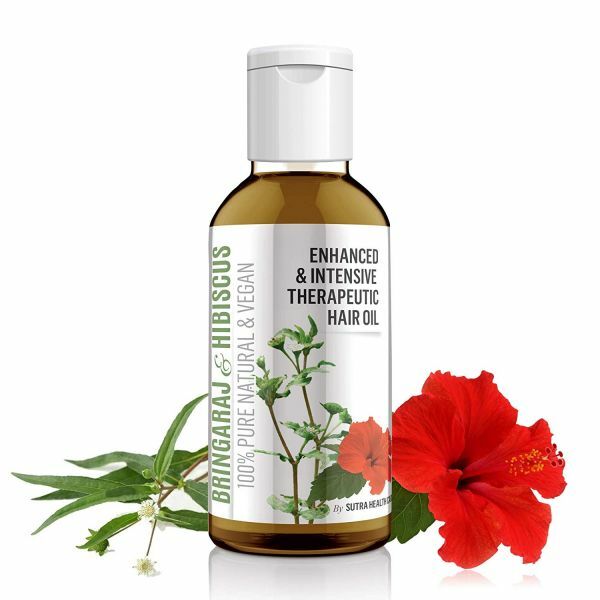 When used on your hair, hibiscus oil boosts hair growth, adds shine to your hair, reduces dandruff and premature greying. When used on the skin, it helps to exfoliate the skin, heal acne scars and blemishes and makes your skin look firmer and younger. 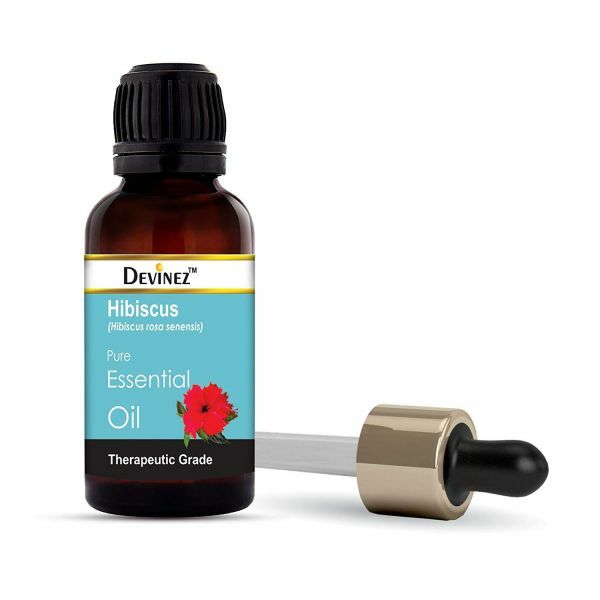 Looking to read more in-depth about hibiscus oil? Here's everything you ever need to know about hibiscus oil and its benefits! If you're looking for a great, multi-purpose hair oil that can be used on the hair and the skin, give hibiscus essential oil a shot. You can use it undiluted, or dilute it with another carrier oil or lotion to make it easier to apply. 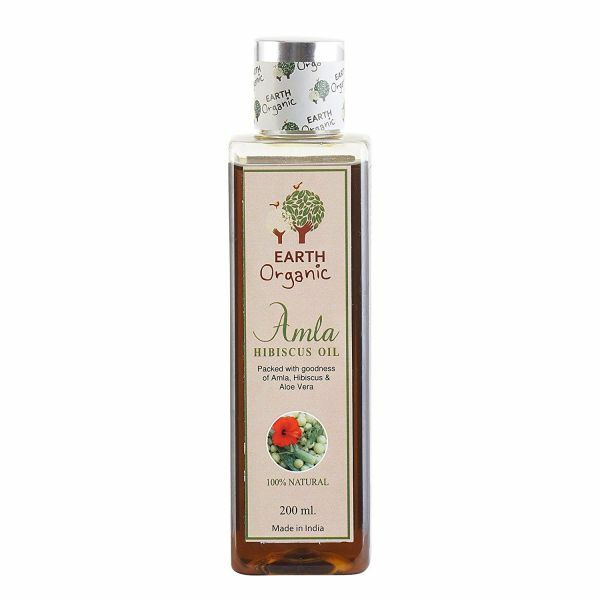 The presence of AHA's and Amino Acids in the oil help with gentle yet effective everyday exfoliation. The oil helps in regenerating skin cells. If you're wary of using it on your face, you could always use it on your body. It will help soften and brighten the skin on your body and clear it of any spots and marks. Looking for some hibiscus oil? 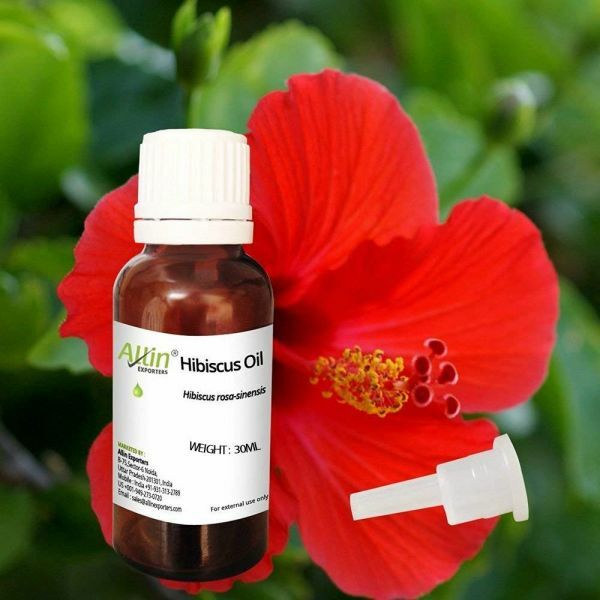 Here's a list of some of the best hibiscus oil products available in India! This is a 50ml bottle of pure hibiscus oil. It can be used after being diluted with any other carrier oil for your skin and hair. Add a tablespoon full of the hibiscus oil to any other oil like almond or coconut and heat it for a few seconds. Mix the two oils well and use this mixture on your hair and skin. When used with almond oil on the hair, it's going to make your hair soft, long and very very strong. Price: Rs 484, Buy Here. This oil is a blend of coconut, Bhringraj and hibiscus oil. It's going to provide your hair with the best nourishment from all the ingredients. Bhringraj oil helps darken your hair and prevent greying while coconut and hibiscus will nourish and soften your strands. 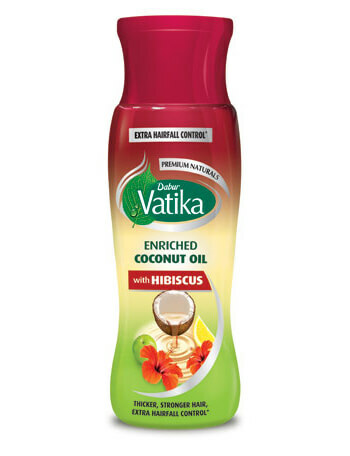 I'm sure all of us have heard of Dabur Vatika hair oil. The brand makes some very good quality hair oils. This particular one is a blend of hibiscus and coconut oil and it's going to make your hair thicker, stronger and longer. The formula claims to have extra hair fall control while promoting the growth of new hair. 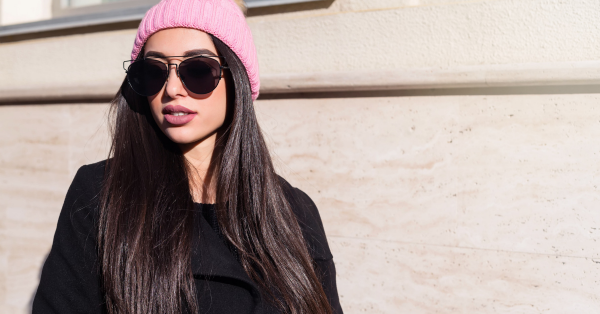 If you suffer from excessive hair loss, this one is definitely worth a shot. 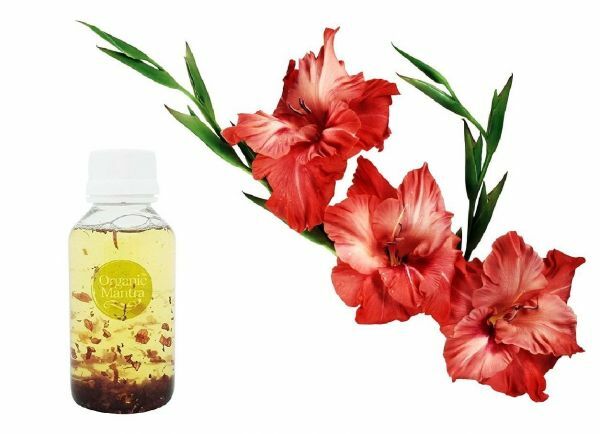 This hibiscus oil is safe to be used on your hair and skin. It's pure hibiscus oil and has hibiscus flower extracts in the bottle itself. You can use it on your scalp to get rid of any scalp troubles like dandruff and hair fall and even on your skin for issues like acne and blemishes. While this isn't hibiscus oil, it still has the benefits of the hibiscus flower. 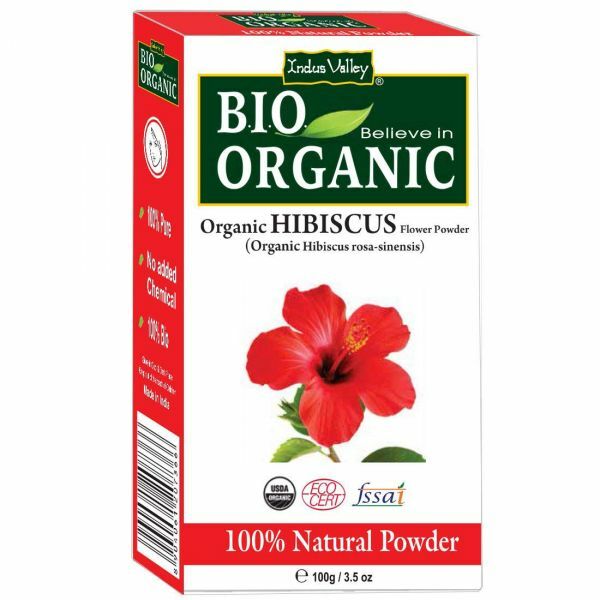 The hibiscus powder can be used on your skin as a face pack or on your scalp as an exfoliating treatment. Because of the texture of the powder, when used on the scalp it helps to exfoliate and get rid of any dead skin cells and dandruff. It resets the PH balance of your scalp and helps keep it clean and free of infections. You can make a paste of the hibiscus powder and use it with curd and rose water. This can be safely applied to the skin and hair! You can even mix a little powder with any hair oil to nourish and exfoliate your scalp at the same time. This hair oil claims to be vegan and its formula is extremely unique. It's a blend of hibiscus oil, bhringraj oil and curry leaves. The combination is a potent one to treat and cure all hair woes like dandruff, hair fall and greying. Leave it on overnight and wash it off the next morning for best results. This hair oil too is a blend of a few hair oils in a sesame oil base. While hibiscus oil is present in this, so are other extremely beneficial ingredients like amla, fenugreek and aloe vera. All three of these are essential for hair growth. So if you're trying to grow your hair long and strong, this is definitely a hair oil you want to keep in rotation. 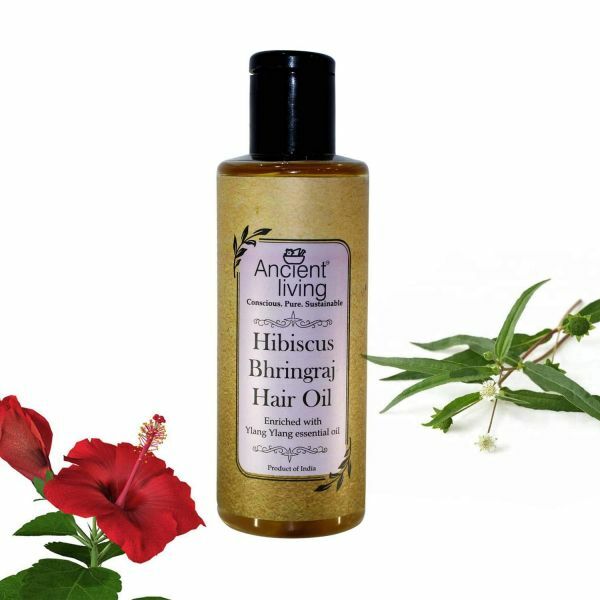 This hair oil is extracted from the hibiscus flower using a steam distillation process. It's undiluted and in its purest state. You can mix it with other carrier oils and use it safely on your skin and hair. Depending on the carrier oil that you mix it with, you can reap benefits from both oils. Now that you've decided which hibiscus oil to pick up, why not use it in your hair masks? Here's an easy recipe! Mix all the ingredients together, you can even use a small hand blender if you like. Once all the ingredients are blended, the mixture should be light and airy. Use this on your scalp and even on your lengths. The aloe vera gel makes the hair oil easier to wash off and it also helps the ingredients penetrate better.